Finland’s largest contemporary music event, Musica nova Helsinki, isn’t the product of one man’s vision, or even one organisation’s. It is an ecosystem that draws and depends upon most of Helsinki’s major musical institutions, which might explain why the German conductor André de Ridder was an astute choice to be the festival’s new artistic director. André de Ridder has spent the last decade and more bringing together musicians of different backgrounds but with common ideals: the creation of new, relevant music that often looks beyond the immediate genre confines of those musicians themselves. He has introduced composers to progressive rock bands, progressive rock bands to symphony orchestras and symphony orchestras to composers. The results might not have been unanimously liked, but they have usually been both original and fascinating. De Ridder’s first Musica nova opens in February under the label Open Space – the title of a piece by Georg Friedrich Haas included in the programme but also a reference to spatial music, space itself (in both architectural and cosmic terms), the borderless qualities that de Ridder has always tried to encourage and the openness with which he wants the festival to be viewed in Finland. “We want to show how ‘open’ the world of contemporary classical music is,” he says. 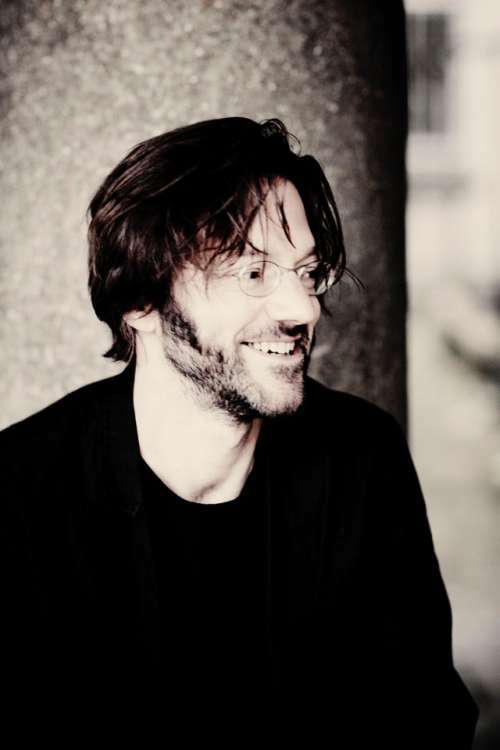 Artistic Director André de Ridder. For all the vagueness of that concept and its apparently limitless programming implications, de Ridder’s first Musica nova is extremely focused. Music by the great Hungarian modernist György Ligeti forms the festival’s backbone, and much of the music heard would never have been written were it not for that composer’s seismic reimagining of concert music’s essentials. “You could say we have been quite populist in the way we’re looking at the legacy of one of the most influential composers of the second half of the twentieth century and developments that were picked up from him by others,” says de Ridder. The festival opens with de Ridder himself conducting the Finnish Radio Symphony Orchestra at the Musiikkitalo in a statement programme that includes works by Finnish composers Sauli Zinovjev and Sebastian Hilli, as well as by American composer Andrew Norman. His work Play will replace the premiere of Tyondai Braxton’s TELEKINESIS. Among those works are pieces commissioned by YLE, by Musica nova and a co-commission with London’s Southbank Centre. That, together with the involvement of the Radio Symphony Orchestra, Helsinki Chamber Choir and Musiikkitalo, shows just how much the festival depends on input from the city’s major musical institutions (other projects involve Tapiola Sinfonietta and the National Opera). Michel van der Aa‘s 3D opera Blank Out will receive three performances at the Finnish National Opera. De Ridder has been critical of the lack of initiative taken by “classical” cultural institutions in his hometown, Berlin, when it comes to collaborating with musicians from other forward-looking genres including progressive rock. He has pointed to the example set by the Southbank Centre, among others, in thinking across genre boundaries – particularly in a collaborative sense – when it comes to contemporary music events. So where does Helsinki sit on that scale – is it more like London or Berlin? A great deal of de Ridder’s talk of programming gravitates, unusually for a conductor specialising in contemporary music, towards audiences. A significant driving force behind his collaborations with progressive rock musicians from Braxton to Bryce Dessner (The National) and Jonny Greenwood (Radiohead) has been the ability to harness the curiosity of the genre’s audience, and push it towards the contemporary classical scene, usually the preserve of “composers themselves, critics or new music fetishists”, in the conductor’s words. Accordingly, de Ridder won’t rest until he has maximised the audience for Musica nova and he has been directly involved in the festival’s marketing campaign. “We’ve talked a lot about how crucial it is that this music is accepted by more than just the usual contemporary music scene,” he says. “There’s a bigger audience, and I would like to understand more about how that works in Helsinki and Finland.” One initiative has been to ditch the “posh-looking” programme book and replace it with a newspaper-style publication, with a far higher print run, that can be distributed in greater numbers around the city. Likewise, de Ridder has himself been out and about in Helsinki, meeting representatives from the jazz and improvised music scenes including the directors of Flow Festival (“whose programming I really admire”) and exploring new venues including G-Livelab on Yrjönkatu, which will host a number of late-night sessions at the festival. 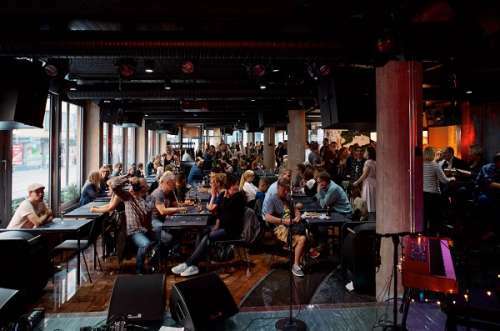 The new G-Livelab club will host a number of late-night sessions at the Musica nova Helsinki. But de Ridder hasn’t had much time. A little over a year will separate his appointment from the first notes of the 2017 festival. There are some coups in his first edition of the biennial event, not least the first performance in Finland of Gérard Grisey’s complete Les espaces acoustiques by the Helsinki Philharmonic. But the 2019 edition will sound different. This article has been modified on 18 February, as the festival announced that Play by Andrew Norman will replace the premiere of Tyondai Braxton’s TELEKINESIS in the opening concert. See also Wif Stenger’s article Sebastian Hilli and Sauli Zinovjev: emotions in two different aesthetics on the Music Finland website.